A decorative initial used as a drop cap (drop capital) at the start of a chapter. 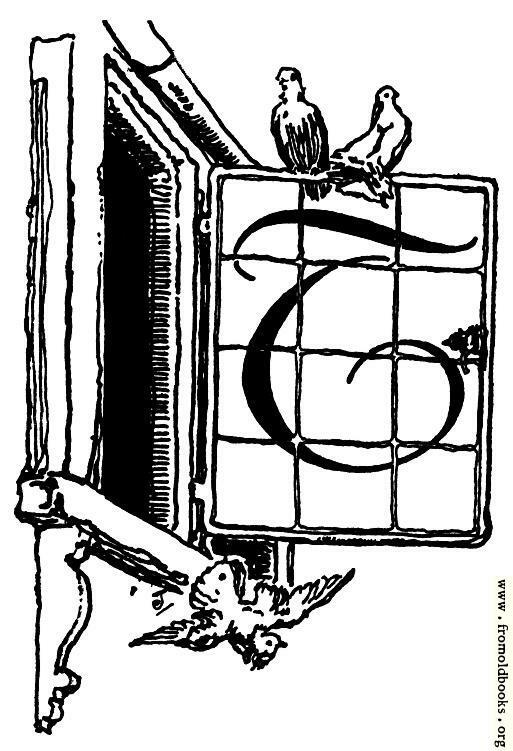 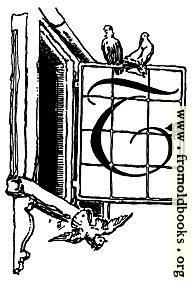 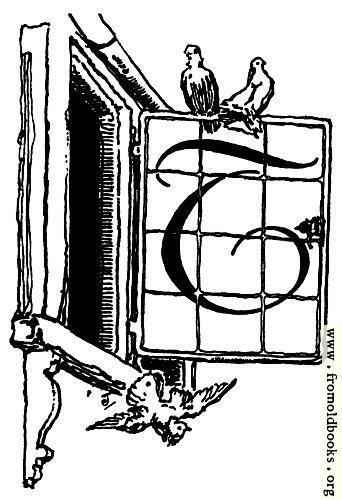 The letter features an open casement window with two birds sitting on the top and another flying downwards. The birds are probably pigeons or doves.